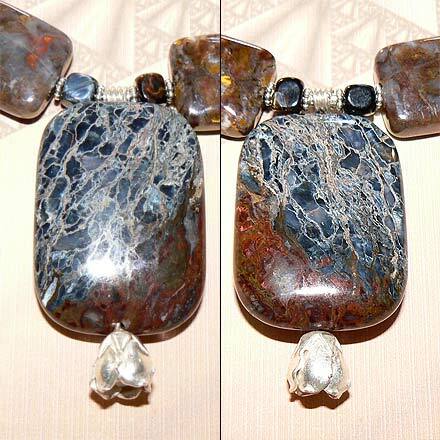 Sterling Silver Pietersite Necklace. See Closeup. 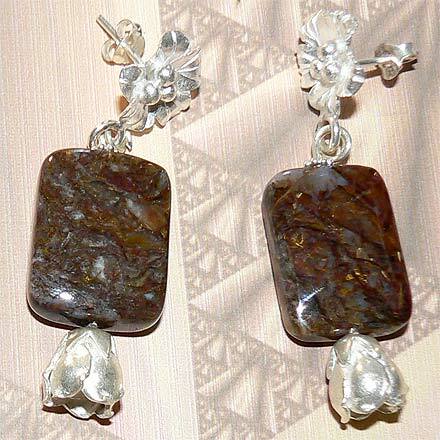 Pietersite is just fascinating with the swirling Tigers Eye-like chatoyancy. 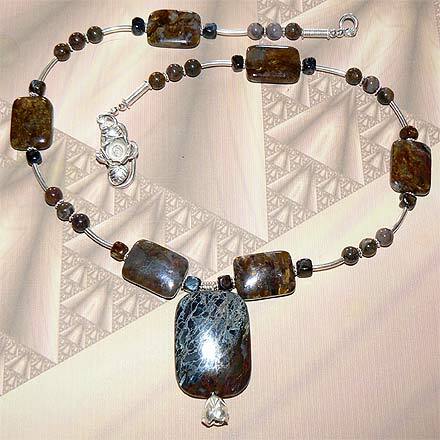 I was lucky to find some lovely large pendant beads with BLUE Pietersite, so that is what the pendant on the necklace is made of. Because it is double-sided, you can turn the pendant over and show two sides of the lovely stone. 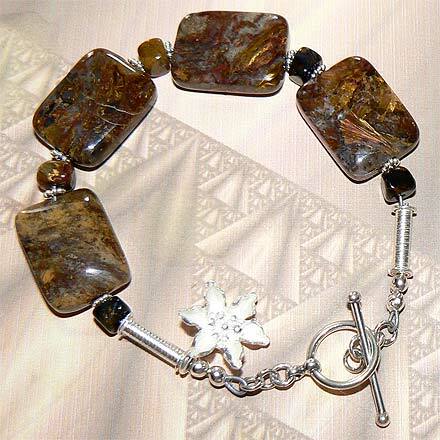 Also included with this bouquet of beads is lovely white silver Thai flower findings.